British press photograph. Approximately 20 x 26cm. 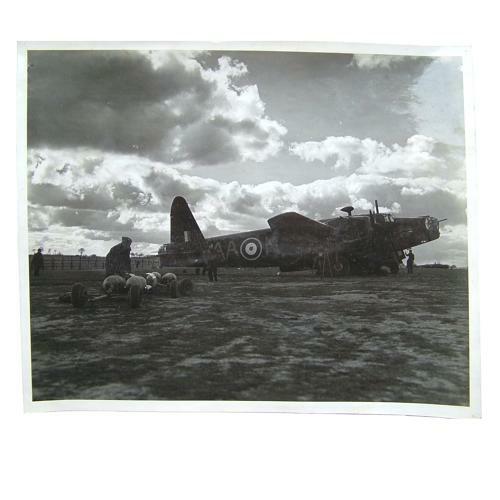 Shows a Wellington bomber on the perimeter track of an airfield. The groundcrew are preparing it for a raid. A bomb trolley can be seen in the foreground. Good atmospheric image. Has paper/glue residues on the rear as removed from an album at some stage. Pin holes at the corners but generally good. Stock code P22873-80.